Exhaust Gas Recirculation, or EGR, is one of two nitrogen oxide (NOx) emissions reduction technique used in diesel engines, the other being Selective Catalytic Reduction (SCR). It involves the recirculation of a portion of an engine’s exhaust gas back into the engine. 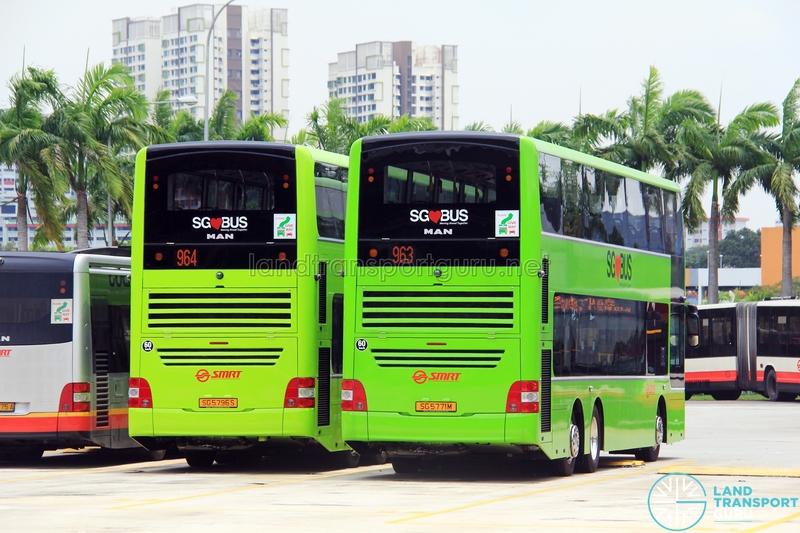 Due to the prevalence of the Scania K230UB, MAN NL323F and MAN A95 models, EGR technology is fairly common for buses in Singapore. Step 1: Air is drawn from the outside, mixed with an amount of air from the EGR system, and fed into the diesel engine. The combustion of diesel and air within the engine pistons produces exhaust gas. Step 2: While most of the exhaust gas is discarded, a certain amount (about 30%) is fed into the EGR system. The amount of exhaust entering the EGR system is controlled by the EGR valve, a delicate component allowing the right amount of recirculated air under the right circumstances. Step 3: The exhaust gas is cooled at the heat exchanger known as the EGR cooler. The coolant liquid later transfers the heat to the radiator. Step 4: The exhaust gas goes through a diesel particulate filter (DPF), where particulate matter is removed from the exhaust gas before discharge. Some exhaust filters also use a catalyst to chemically convert harmful emissions. EGR achieves Euro IV and V emission standards by adhering to lower hydrocarbon (HC), lower nitrogen oxide (NOx) and lower particulate matter (PM) levels in the exhaust gas. These three compounds are frequently encountered during suboptimum combustion of diesel. Firstly, we cover NOx, which are the most difficult to remove. They are formed when nitrogen and oxygen in the air react under high temperatures within the combustion engine. The EGR cuts NOx emissions by lowering the combustion temperature by delivering already-combusted gas (or exhaust gas) back into the engine. Since cooled exhaust gas is lower in oxygen content, peak combustion temperature is lowered within the engine. There are, however, downsides to this method. A major challenge to EGR is the reduction of engine temperature without an excessive impact on combustion efficiency. EGR engines frequently operate at lower combustion efficiency, resulting in loss of engine power. The engine control unit (ECU) plays an important role in regulating the EGR process for optimal performance. Next, EGR systems rely on diesel particulate filters (or DPFs) to remove most of the leftover combustion soot, also referred to as PM. DPFs also frequently include diesel oxidation catalyst modules which act as a catalytic converter, oxidizing harmful pollutants (like HCs) into less harmful ones. MAN’s own PM-KAT filter is a good example of a superior exhaust after-treatment system currently used on the MAN NL323F, NG363F and A95. The unit comprises of two parts, combining an oxidation catalytic converter with a particulate matter filter. The catalytic converter oxidizes leftover NOx into NO2 gas. The subsequent particulate matter filter converts HCs and PMs into harmless gases by combusting them with the NO2 produced in the first portion. MAN also touts it to be maintenance-free. 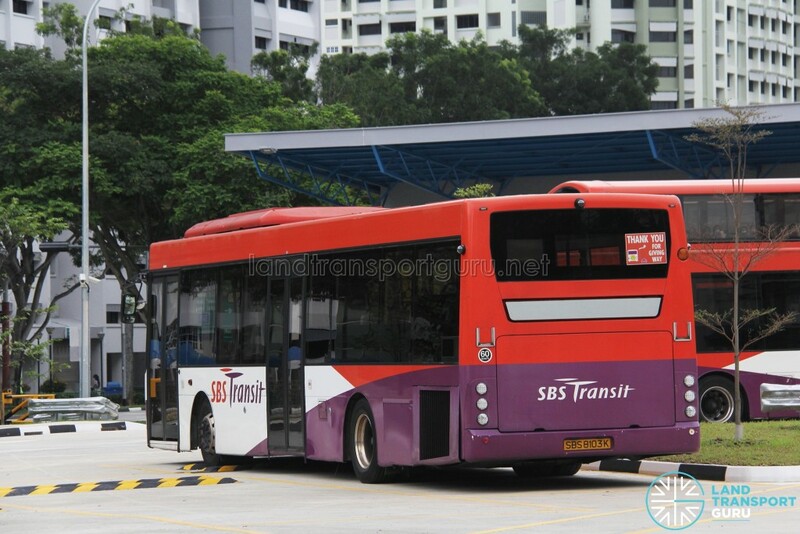 Although not utilized in Singapore buses, older EGR systems may employ exhaust regeneration to remove PMs and HCs. This process introduces very high temperatures (above 600 degrees Celsius) into the exhaust system to combust the leftover PMs and HCs. However, many complexities arose using this technique, such as high exhaust back pressure and very hot exhaust gases. Due to the cooler operating engine temperatures of EGR systems, turbochargers are used to force more air into the engine, resulting in greater engine efficiency. Euro IV and Euro V Scania K230UBs both have 230-horsepower inline 5-cylinder DC9 engines, but of very different design. During the transition from Euro IV to Euro V, Scania had to redesign the engine with a larger bore diameter, hence requiring new pistons. Total engine displacement increased from 8.9 litres to 9.3 litres. Additionally, a Variable-Geometry Turbocharger (VGT) replaced the fixed geometry turbocharger found on the Euro IV engine to improve low-end throttle response and to assist with the EGR system. Finally, an XPI fuel system was used in favor of the fuel injectors on the older engines. Essentially, the Scania DC9 for Euro 5 was a brand new engine. The MAN NL323F, NG363F and A95 buses use the MAN D2066 engine which incorporates twin-stage turbocharging in its design. 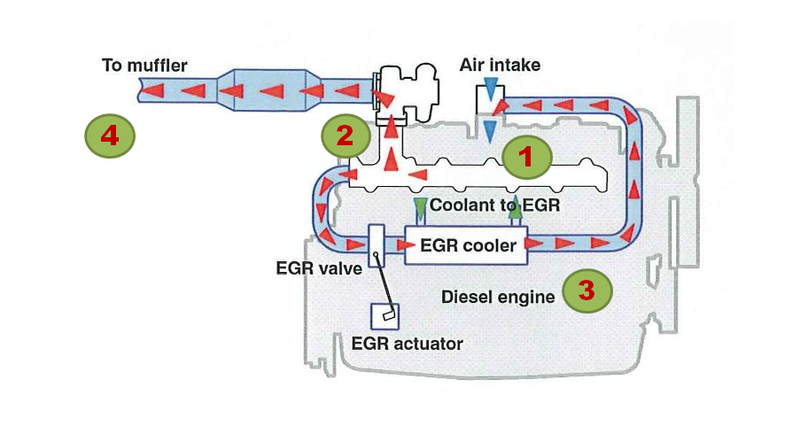 EGR systems rely on cooling exhaust gas (Step 3 above), which involves removing a large amount of heat. This puts additional strain on cooling components. 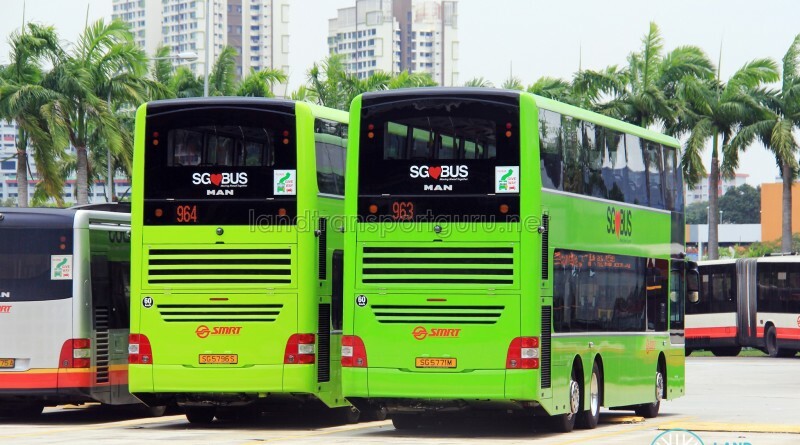 Loud engines and radiators (notably common in poorly-maintained Scania K230UB and MAN NL323F buses) are a common result of poor heat discharge. EGR systems utilize additional components and delicate valves which require more regular service intervals. The EGR valve and exhaust filters must be cleaned periodically to prevent the build-up of soot, and uncleaned filters severely affect engine performance. By forcing the combustion at a lower temperature, EGR engines operate less efficiently and take a toll on engine performance. The recirculated exhaust contains soot which is an additional abrasive on engine components, reducing the engine’s lifespan. EGR technology is best suited over long distance cruising than the start-and-stop demands of urban operations. The added stress on the EGR valves mean that they must be cleaned or replaced more often. Due to the limited flexibility of the EGR system, engines are usually radically redesigned just to meet new emissions regulations. This introduces added complexities between engines of similar make yet different emission standards. The rear of a Scania K230UB with its radiator on the rear left side. With EGR systems heavily reliant on their cooling systems, poorly maintained buses often have very loud radiators, most evident when they accelerate from a stop.